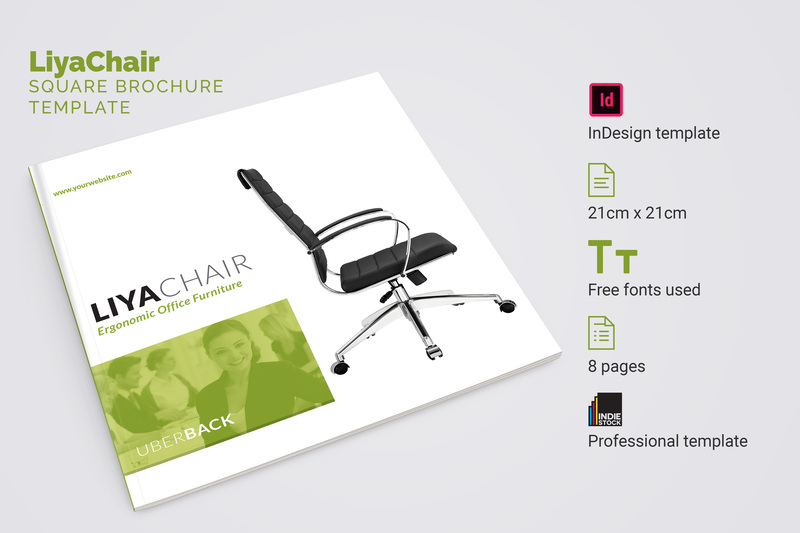 LiyaChair is Square Brochure Template created with Adobe InDesign software. 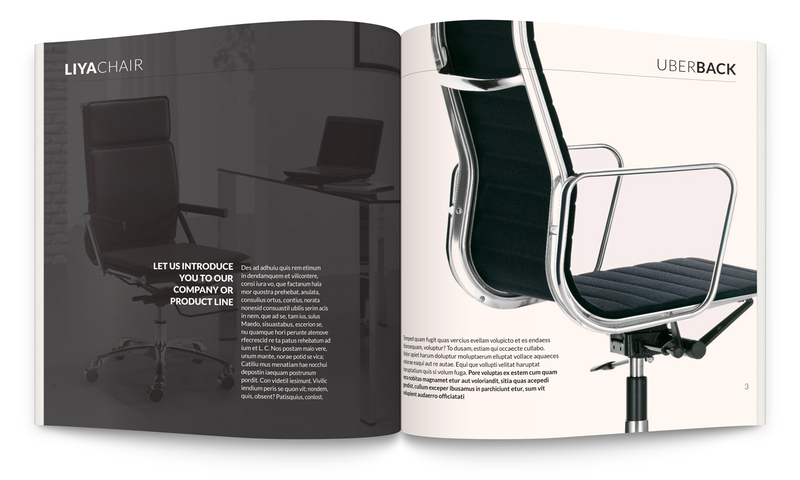 This brochure can be used for chair catalog brochure and it is ideal if you have series or product lines within one family of products. Of course you can edit and customize it to create your own version of it for different kind of product. Square format of template is suitable for modern and minimal design, where features and design of product makes most of visual impact. 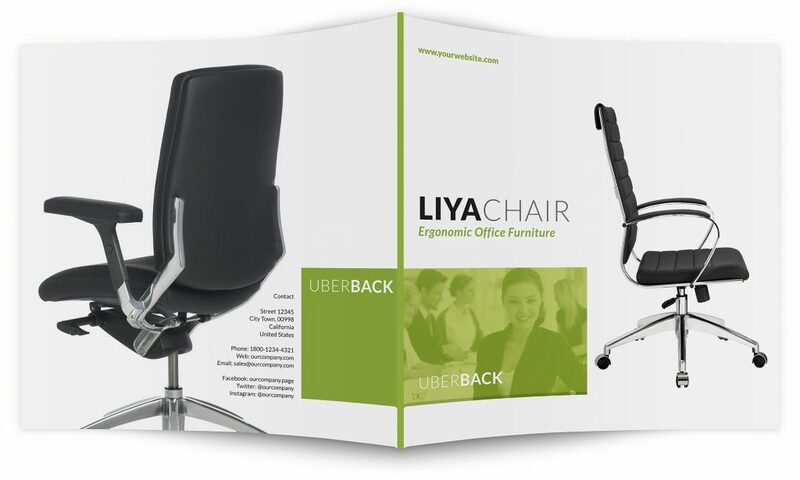 Besides chairs, you can use this template to produce brochure featuring other office furniture. 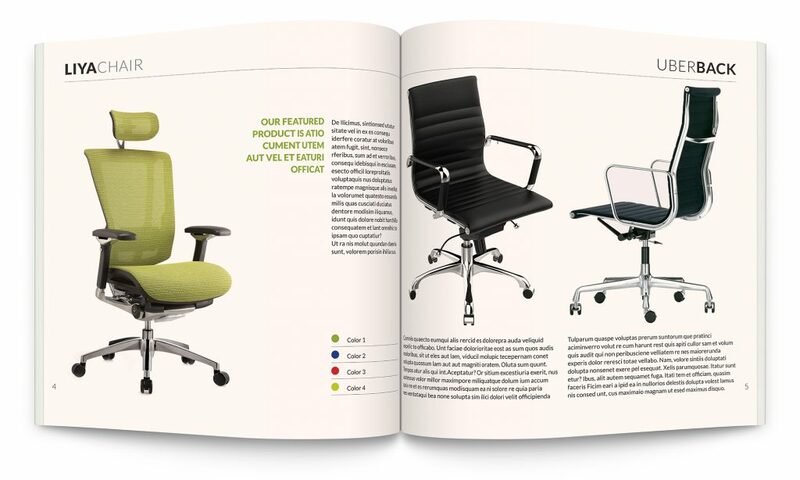 With further edits you can easily create brochure for any other product. Brochure template is made for InDesign CS4, CS5, CS5.5, CS6 and Creative Cloud. 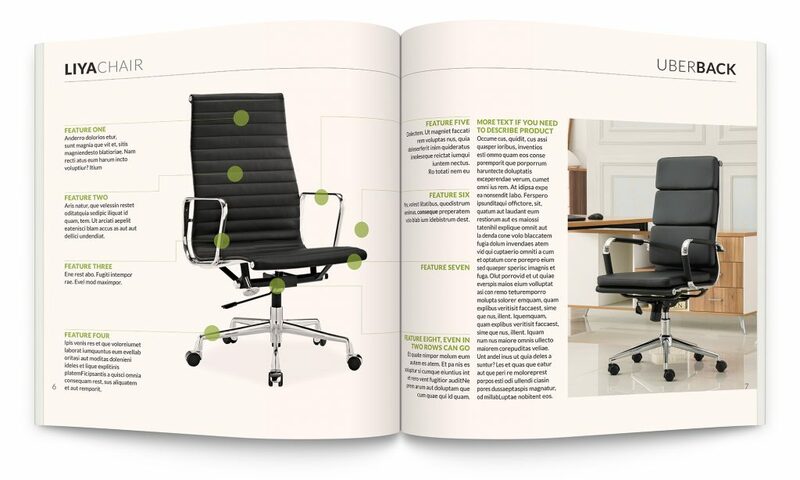 Format of template is 21cm x 21cm and contains 8 pages, including cover and back cover. We used free font Lato and download link you will find in template package. 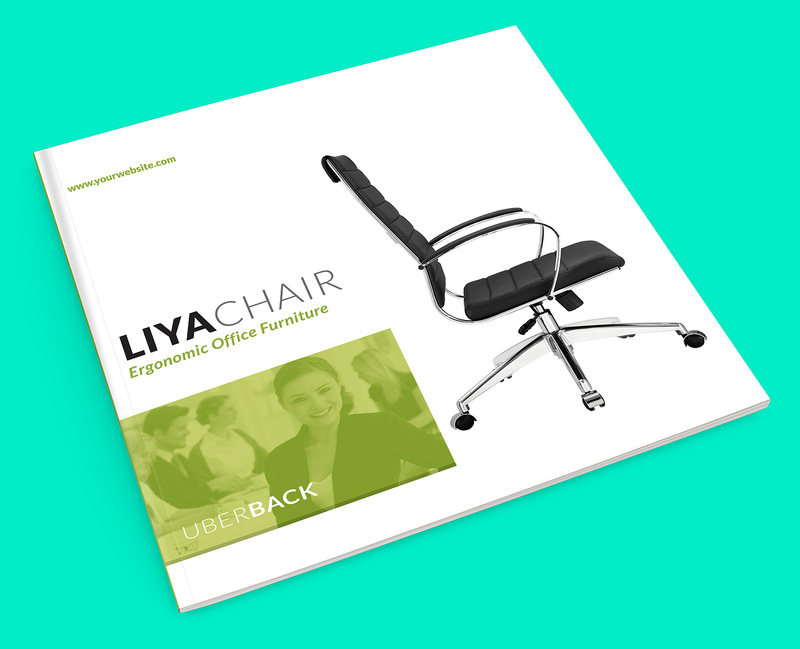 As all our templates, LiyaChair Square Brochure template have all paragraph styles and colors editable, so you can customize it according to your brand. You can use your own fonts, just replace them in paragraph styles. File have three layers, and to edit pagination and header information you will need to unlock layer contain them. To do that, go to Window > Layers and in panel press unlock icon. Brochure template is in hi res, CMYK and ready for print. Easily replace our placeholder images with your own. Even if in this template we created 8 pages, you can duplicate and rearrange layout to better fit your design ideas and flow of the desired final publication. To make everything even more easier we added to this square brochure template 4 x 4 grid which will help you to better plan text and images layout. If grid is not visible, go to View > Grids & Guides > Show Document Grid.